The principal intentions of Park donor Percival Baxter regarding the management of the Park as expressed in the Deeds of Gift and Formal Communications provide the fundamental mission of Baxter State Park. 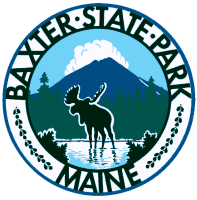 The mission of Baxter State Park can be expressed in six primary objectives: To protect the natural resources of the Park for their intrinsic value and for the enjoyment of present and future generations. To provide various appropriate recreational opportunities to Park visitors. To conduct exemplary sustainable forest management operations within the 29,537 acre Scientific Forest Management Area of the Park. To maintain the facilities, infrastructure and data systems of the Park. To provide for the safety of Park staff and visitors. To manage and protect the fiscal integrity and independence of the Park for current and future generations.